Jana Adamkova moved from the bustling capital city to Kiltegan in rural Co Wicklow with her partner two years ago to escape the busy city life in Dublin and settle into a new life with their young child. However, Adamkova’s more simply country life didn’t last for long as issues with the town’s drinking water supply soon sprang up. 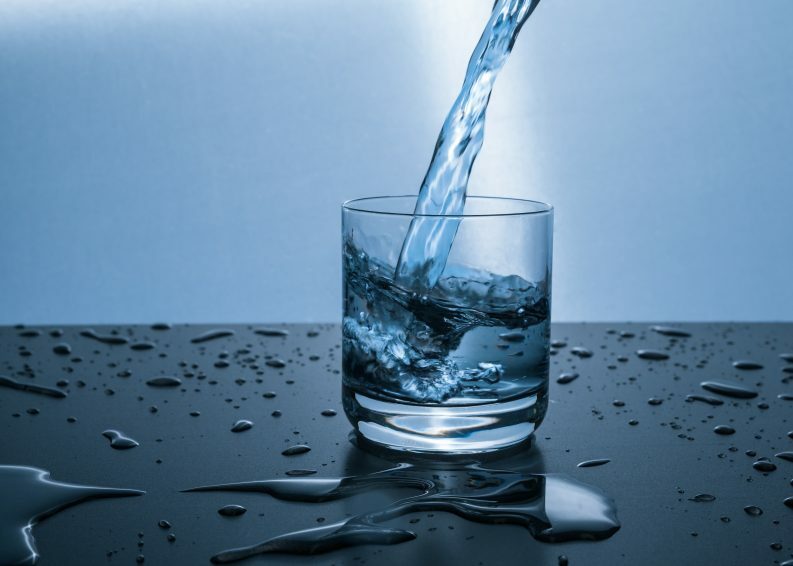 In May 2018 a Do Not Consume notice was placed on Kiltegan’s drinking water supply due to “excessive nitrate levels” in the supply that serves 269 people. For several months, Kiltegan residents could not drink the water, cook with it or even brush their teeth with the water. They were informed by Irish Water that the water was especially dangerous to infants less than 12 months of age. Nitrates can be dangerous, particularly babies or elderly people, as they can stop the flow of oxygen to the bloodstream. The notice was lifted in June and life returned to normal but only for a while. Last Christmas Eve, just when the Adamkovas were preparing for Santa’s visit, they received an unwelcome present. “The whole village got a notice that there are high nitrates in the water coming from the tap,” she told The Green News, with residents again advised not to drink the water or brush their teeth with it. For the past four month, Jana and the other Kiltegan residents have been relying on large deliveries of Celtic Pure bottled water funded by Irish Water. 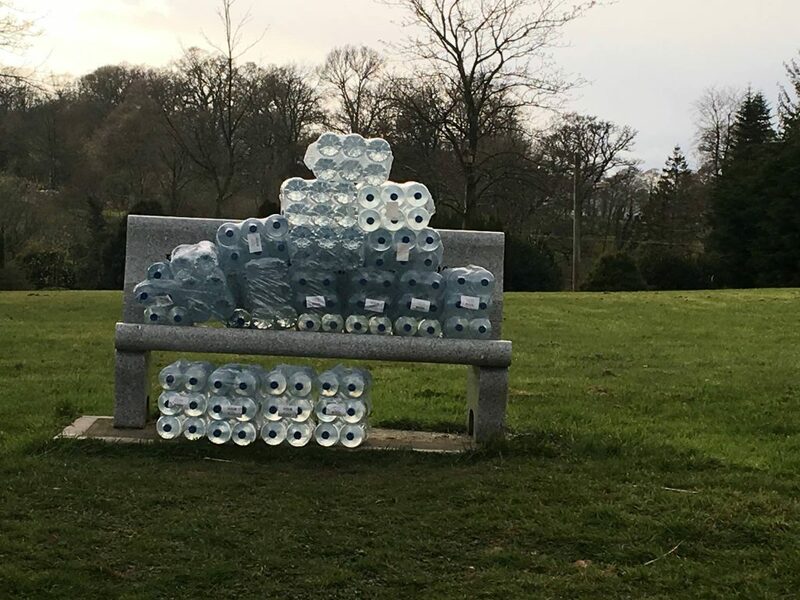 While initially telling The Green News that they did not have figures available, Irish Water confirmed earlier this month that they supply Kiltegan with around 300 two litre bottles of water per day. The reliance on bottled water is also seriously impacting local businesses, according to Tanya Twyford-Troy, secretary of the Hub cafe in Kiltegan. “We go through about 40 litres of bottled water a day for cooking and coffees,” she says, resulting in a lot of plastic waste. “I actually have to give my dog bottled water too. “It has been really inconvenient as well as troubling from an environmental perspective,” Twyford-Troy says, with the bottles left in the green in the middle of Kiltegan for residents to collect. Twyford-Troy says that residents have experienced issues with this service in recent months as water used to be “delivered door to door” and is often all gone by the early afternoon. “They say that it’s available from 9am-7pm, but they’re always gone by 4pm,” she says. “What about elderly people who live alone,” adds Adamkova. “Those pallets of water are very heavy, even for me so I can only imagine what it’s like for the elderly in the community”. An investigation into the cause of the excess nitrates in the Kiltegan water supply is still underway by Wicklow County Council and Irish Water. Irish Water told The Green News that is has not identified the source to date but that farms in Kiltegan were recently visited to inform them of good agricultural practice. Irish Water said that a warning letter was issued to one farm in 2019 but would not provide any further details. According to environmental engineer Tim Butter high nitrate levels in groundwater are usually associated with agricultural activity on the surrounding land. Butter, who specialises in the chemical and microbiological analysis of water, told The Green News that nitrate concentrations can fluctuate over time depending on season and whether the land is being treated with artificial fertilisers or animal slurries. This is welcome news for locals after months of unanswered requests for information sent to the Council, according to Adamkova. ‘’I tried to contact Wicklow County Council several times but they never answered my emails or social media comments, basically I was ignored,” she says. “I’m sure if this happened in Bray it wouldn’t be taking this long because it’s a richer area where this is poorer,” she says. For now, Adamkova and other must wait to see if the new borehole will give the village back its clean, safe drinking water and the peaceful country life that she imagined for her family.